Despite increase in majority cryptocurrencies rate in 2018, volumes of mining by large companies did not decline. Therefore, the main computing power of networks is controlled by several enterprises, which leads to a decrease in the level of decentralization of blockchains. To solve this problem, several cryptocurrency developers are planning to implement hard forks aimed at countering coin mining with the help of ASIC miners. 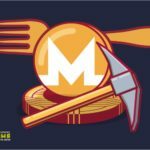 At the beginning of this week in a blockchain of Monero have conducted a hard fork which has increased productivity of network that has led to essential decrease in the fees for performance of transactions. The new mining algorithm RandomJS which is incompatible with ASIC miner became a part of an update. On October 31, Siacoin creators will implement a hard forka . Within updating of network the new range ASICs from the Obelisk company created especially for production of coins of Siacoin will be presented. 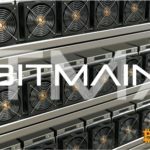 At the same time, it will become impossible to mine cryptocurrency on hardware from Bitmain and Innosilicon. According to the chief developer Siacoin David Vorik, Bitmain and Innosilicon do harm to Siacoin blockchain. 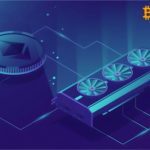 The developers of Verge also announced their intention to limit mining of coins using ASIC miners, and the Vertcoin team will soon hold a hard fork and present a new Verthash algorithm. Ethereum developers reported on the potential application of ASIC-resistant mining algorithm in the future. 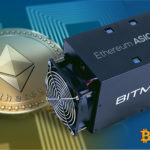 Developers of many blockchain projects recognize the need to combat the mining of altcoins on ASIC devices. However, the effectiveness of hard forks is in doubt, as the ASIC manufacturers can release new devices for updated algorithms, so blockchain developers will have to upgrade the network again. This can continue as long as the companies will profit from cryptocurrency mining, so in the near future, the ASIC miners will not disappear from the market.